Flash portable storage sticks and cards come in a variety of different storage sizes and speeds. Different size memory cards and sticks are suited to the many different gadgets and devices available. Millions of Flash data storage devices are manufactured across the globe year in, year out, with many of these sticks not being ideal for their intended usage. Spending a few seconds to assess your data storage requirements before making the wrong purchase will allow you to make an informed decision and consequently you’ll end up with a better storage unit that will work for you. There are several standard formats that are the most often used by the majority of device manufacturers. The most frequently used are standard, Micro and Mini SD Cards, USB Flash memory sticks, and Compact Flash card drives. The two main factors when selecting portable data storage, are the capacity of the device and the speed that data can be transferred. Data storage technology develops quickly resulting in ever greater storage capacity as well as transfer rate. The larger and faster the memory drive, the more it usually costs. With the recent exponential surge in the use of tablets for gaming and HD videos, storing large, volume data on small convenient storage has become even more useful. 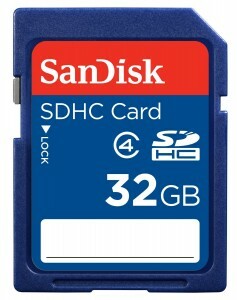 Currently, at the start of 2014, memory cards and sticks are readily available up to 256 gb and memory capacity is on course to reach 2TB by the end of the decade. Cards and sticks are becoming more and more stable and reliable, giving users much more confidence and security than used to be accepted. Many modern memory sticks are ‘hot swappable’ meaning that you can remove them from computers and devices without having to eject them first. Flash storage drives are also configured to be compatible with both Microsoft and Apple computers, so you can easily back up your data onto your PC or Mac for later use. High end digital SLR cameras usually provide several card slots and use CompactFlash memory (which are often the first choice for commercial photography) and SD memory cards too. For photographers, often they only have one opportunity to capture an event, so they need to know that the photographs they take are safe and secure. CF memory cards are one of the most dependable data cards and the most trusted. Most wedding day photographers choose a few smaller size data cards during such an important shoot instead of storing all of their images one large capacity card. This provides added piece of mind because in the worst case scenario, if data is lost, they just lose a single segment of their saved work, instead of all of it. In spite of the high level of reliability of modern storage, it is prudent to protect your valuable data by saving it this way so as to avoid any unforeseen disasters. Because of their compact size, memory sticks and cards are a really practical way of storing enormous quantities of data for either portability or security. Cards and sticks can be easily carried in a pocket, purse or a wallet, or discreetly hidden to protect your important documents. Portable flash memory has two forms, USB and a variety of memory card drives which require a suitable flash card slot or a multi-card reader which connects to a Mac or PC via a USB. The games, cameras or other devices you are looking to buy, or already own will normally dictate which types of memory storage you will need. If you are only intending to store information from your PC or Mac then a USB stick would be your ideal choice. With the expense of flash drives decreasing, there has never been a better time to invest in newer, faster and larger capacity portable memory to store your important data.